The podcasting world is booming - everyone who's anyone seems to be setting up a podcast, talking about literally anything. Podcasts are an extremely versatile media format, and easy for the listener to consume. Every day, millions of people listen to podcasts on their way to work, in the bath, while cooking and a dozen other situations. Some of the biggest podcasts have millions of downloads on every episode and the creators are making a good living off of their podcast. A podcast allows you to speak your mind through a light, down-to-earth and friendly format that's fun for the listener and you. Plus, podcasting is increasingly becoming one of the more popular methods of content marketing. It's longer format lends itself to content creation that is beneficial and interesting to the audience, taking a step away from the quick and cheap content marketing of recent times. It's also a lot easier to grow in the podcasting world than, say, on Youtube. If you've got something to say, but you don't have the time, space or platform to say it - podcasting could be for you. So, you know you want to create a podcast, but what kind of podcast do you want to create? You've got to narrow down the style of your podcast, before you do anything else as this will dictate everything that's to come. Start off by asking yourself why you want to do this... Is it that you want to educate others, tell a story, share wild conspiracy theories, personal feelings or interview extraordinary people? The why behind your podcasting dreams will steer you towards finding your style. After all, a personal diary in the style of a true crime podcast, probably wouldn't work out so well. Look at the other podcasts that you love and feel are in a similar genre to what you want to create and try to identify their style and niche. Do they include music, or have a catchy theme tune? Do they have ads, and if so how do they place them? How do they talk, is it light and upbeat or solemn and informative? All of these things will help inform you of how you can style your own podcast. Once you have found your niche/style, stick to it. If you create a podcast sharing a short story you've written every week, your audience is going to get very confused if you start talking about the current political climate. The right equipment and software will help your podcast come to life, whereas the wrong ones will weigh you down. Luckily, it's relatively cheap and easy to find everything you need to start a podcast, in no time at all. A good microphone is probably your greatest asset. After all, it's what makes your podcast possible at all. Many people are instantly turned off by poor sound quality and will either find it hard to take you seriously, or stop listening altogether. However, if you haven't got the money to splash out on a fancy Rhode microphone, there are plenty of USB microphones available on Amazon for a much cheaper price that will get the job done. You'll most likely want to get a USB microphone, as this allows you to plug it straight into your laptop or computer and record simply and easily using whatever software you choose. There are loads of different options in terms of software for podcasting, and plenty of them will work to create and edit podcasts, but really you want the best option you can find, as this is the brain behind your podcast. Being inundated by bad software will only make your podcasting life that much more difficult. 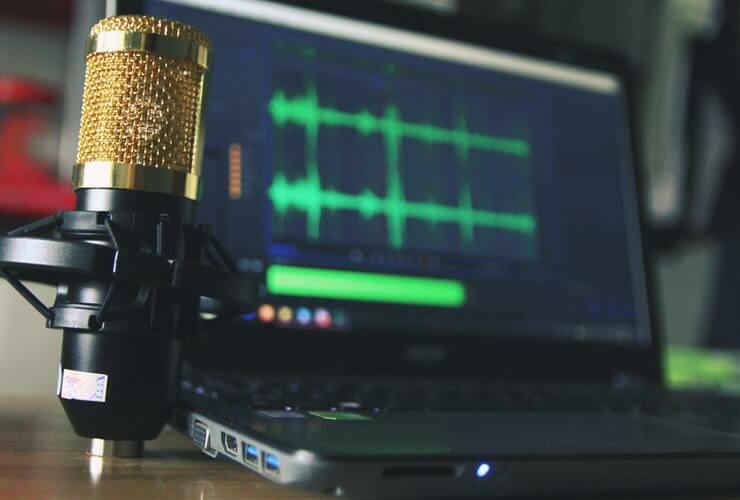 Many podcasters fall into the trap of buying software that's geared towards music production, and while that will work, it's not going to be as streamlined as software geared towards voice audio editing. Audacity is widely considered the go-to software for beginner podcasters. It's a free audio editor that works with both windows and macOS. Although at first it can be confusing and difficult to get started, once you've mastered the learning curve, you're good to go. For free software, it also includes some high-end powerful features such as sync-lock, silence and silence finder. GarageBand is another free audio editing resource and a great choice for newbie podcasters because of it's easy to understand interface. However, it's only for Mac users at this time. Within it you can separate music tracks, ad spots and more and then fade them in or out as necessary. If you're an Apple fan and you need something quick and easy to use, this is for you. 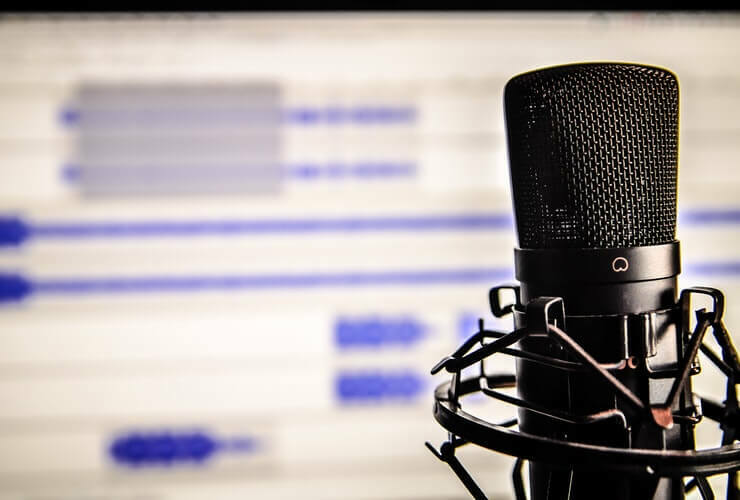 There's no hard and fast rule saying you should plan out your podcasts - after all, some of the most popular podcasts out there sell themselves on having an natural, unstructured format. It's your podcast and you can do what you want. However, it is recommended that you plan out your podcast episodes even just a bit, as it will help you greatly when it comes to sitting down and recording something. It's easy to think we have so much to say, how could we ever forget it - and then completely blank in front of the microphone. Especially if you're planning on creating an educational or entertainment podcast, a little preparation can go a long way. Write down some interview questions, plan out what you're going to talk about, insert ad breaks or even just jot down some bullet points of potential conversation topics. Now you've got all the pre-work out of the way, you can finally record your first podcast episode. Really there's not a lot to it. Once you've set up your microphone and got your software up, hit record and start talking. Make sure that you've got a quiet spot to record, with no possibility of people interrupting or the wind covering your voice. Once you've finished recording, the real work starts. Editing your podcast can seem daunting at first, especially since you might be overcoming the cringe factor of hearing your own voice played back to yourself. Push through the urge to never speak again and edit your audio to the best of your ability. It doesn't have to be perfect on the first try, and there are plenty of videos and tutorials out there on the internet to help you out. 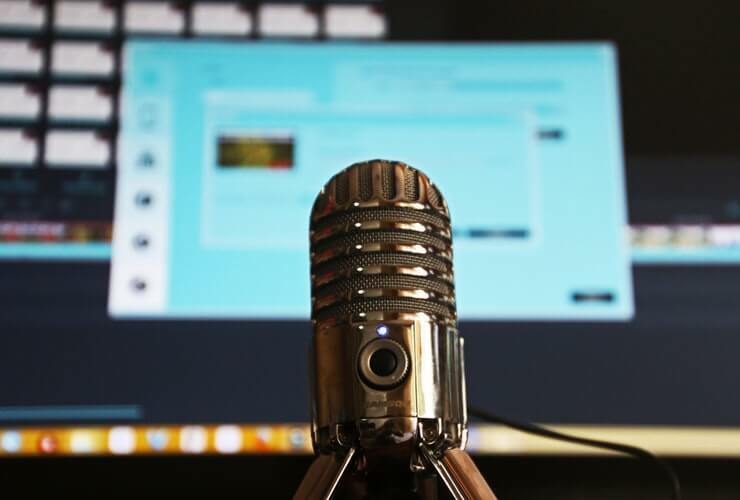 There are many many different places that you can choose to upload your podcasts, and indeed many podcasters choose to upload on various different platforms in order to maximize the amount of people who can listen. The first go-to platform is apple podcasts. Most iPhones come with the apple podcasts app pre-installed, it's super easy to use and allows listeners to download episodes as well as leave reviews. Alternative or additional platforms include Spotify, Soundcloud, player.fm and many many more.